1. Love seeing fireworks, but we’ll probably just get some sparklers and not watch a big live show. I have to work the next day. 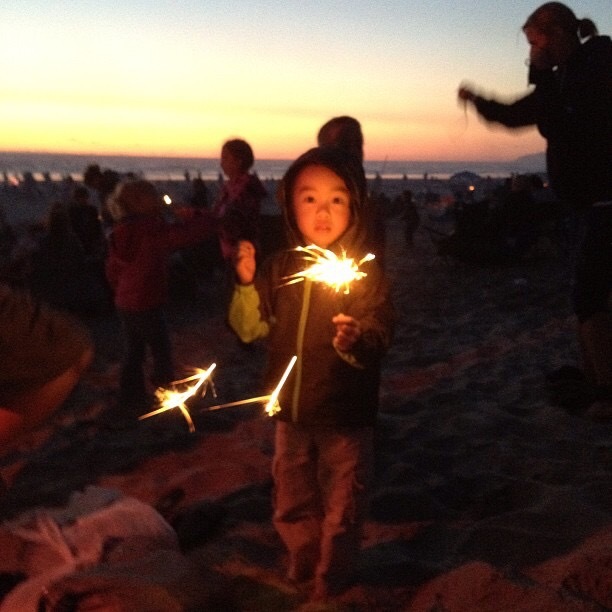 Here’s a cute but old pic when we watched fireworks at Rockaway Beach, OR. 2. The Runner’s World run streak ends on the fourth of July. This will be my longest run streak at 41 days. It was a good streak but I’ll be looking forward to my rest days now that I’m marathon training. 3. The 2nd Earthathon Relay has just started and I’m looking forward to contributing my miles. It’s not too late to join. It’s a fun and free virtual relay with ten teams competing the distance of the circumference of the earth. It’s fun, great motivation, and a great way to meet runners all over the world. All you need is a Twitter account. You can learn more at earthathonrelay.com. 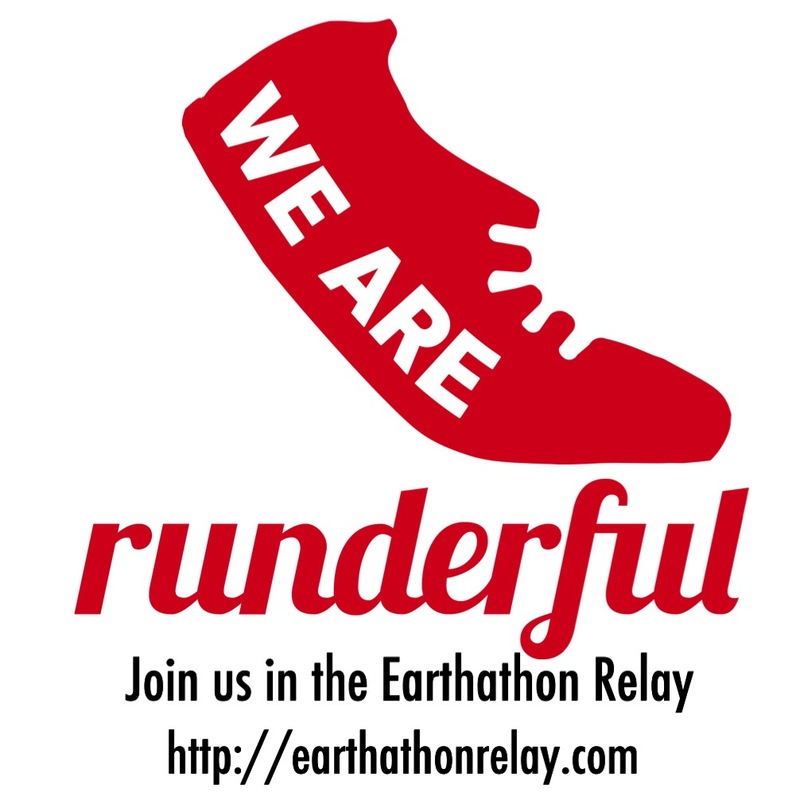 We could use your miles on team RunderfulRunners. 🙂 4. 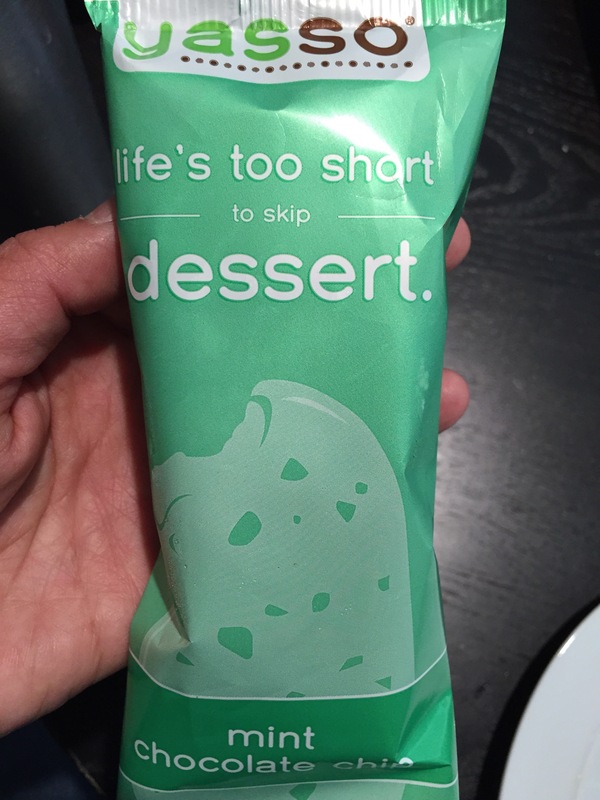 It’s been sooo hot lately, I’m loving these Yasso mint chocolate chip frozen greek yogurt bars. So good! I got them at Costco. 5. I’m also loving my new hat which is also a heart rate monitor. 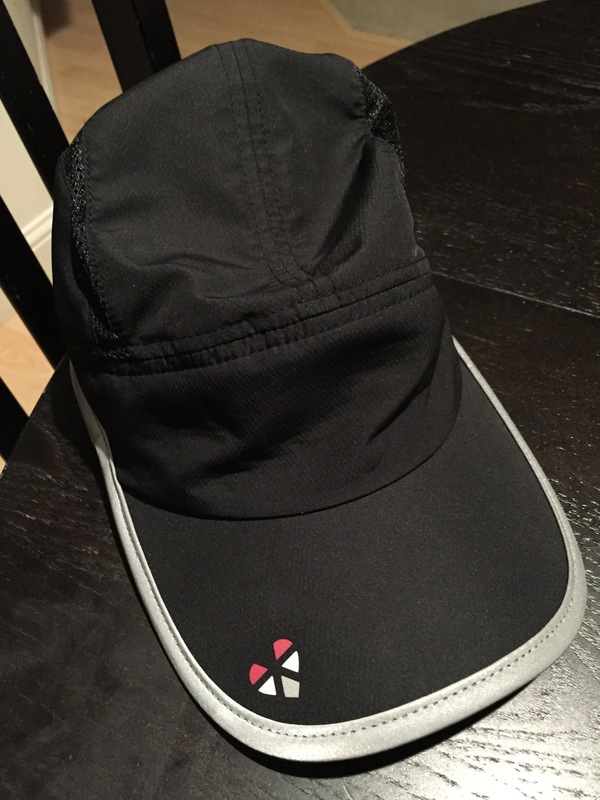 It’s called the LifeBeam Smart Hat. 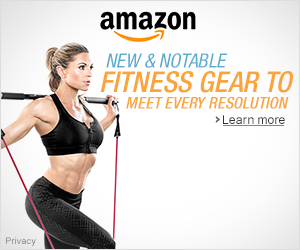 I splurged and got it with a coupon code since I don’t like wearing the chest strap heart rate monitors. It works great and pairs with my Garmin! What are you loving right now? Any plans this July 4th weekend? Who wants to join a fun event on Twitter that involves running, walking, jogging or hiking? 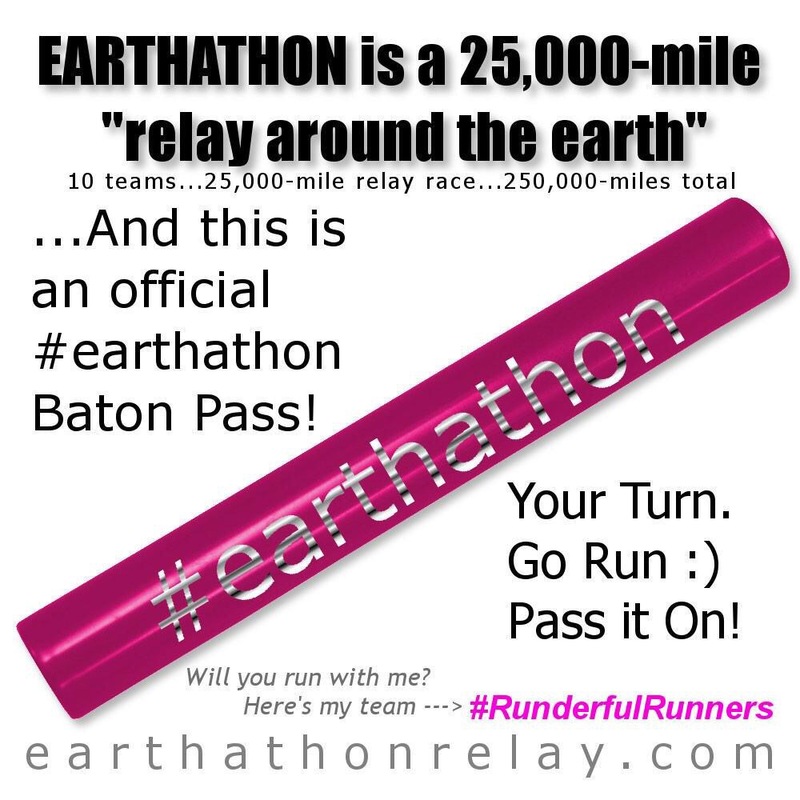 Join Earthathon, a virtual relay around the earth. It is currently on its inaugural lap around the approximate circumference of the earth, 25,000 miles. As of this post Earthathoners from around the world have traveled 20,294.4 of 25,000 miles, getting close to finishing the first lap. 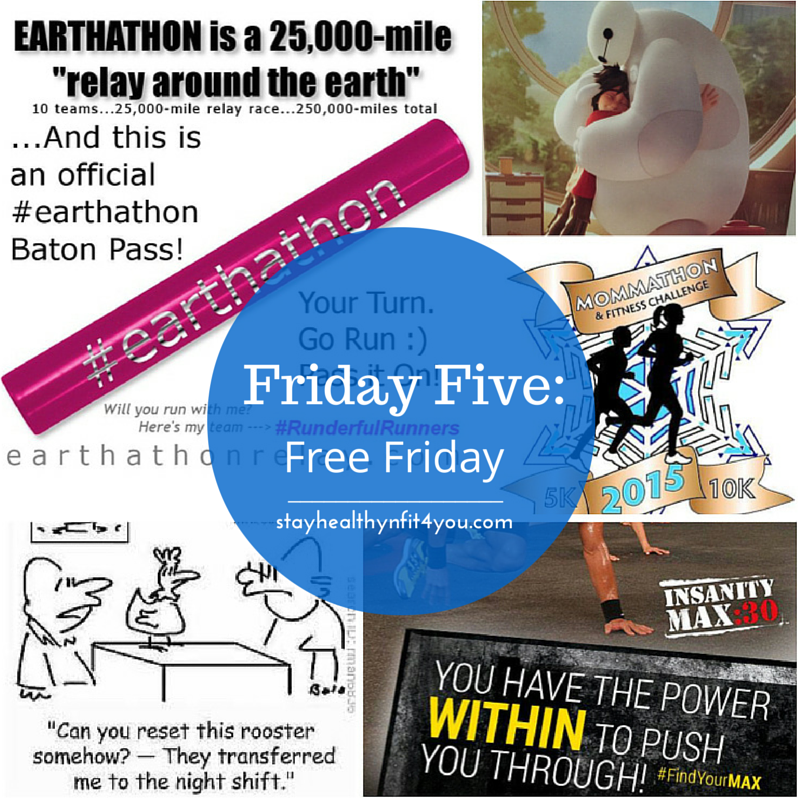 Earthathon was created by @GoRunHappy as a way to motivate others to exercise regularly. It’s picked up and for 2015, he’s set up ten teams to run a relay around the earth. The teams will combine and complete a total of 250,000 miles, which is the approximate distance to the moon. There will be ten teams but they are just a part of the bigger picture of “One Team, One Planet.” Once a team finishes their leg of the relay, they will help the other teams. When all teams have finished, they will have accomplished finishing a 250,000 mile relay. How cool is that? I was honored to be chosen to be a team captain of one of the ten teams :). My team is #RunderfulRunners which consists of my awesome Co-Leaders: @shanks324 and @runninrocker. 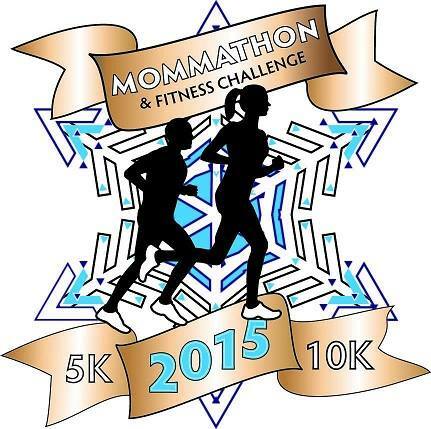 Do you want to be a part of Earthathon? It’s really easy to join. 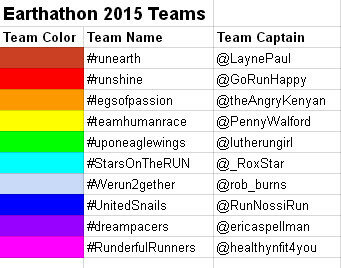 All you need is a Twitter account and just tweet your miles and add #earthathon and the hashtag of the team you pick. 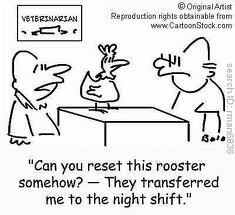 Then fill out a quick form HERE so that your miles are logged (password is run). You can pick the team you want to run for HERE. 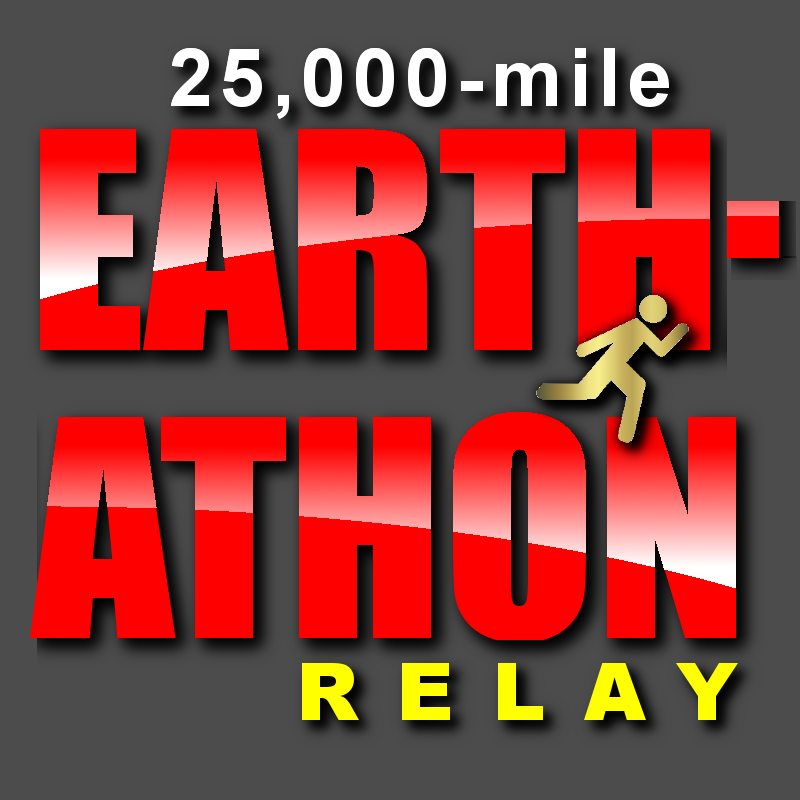 For more info, go to the Official page http://earthathonrelay.com/.